All Images Courtesy of Denis Lucci. Check his full galleries at Denislucci.com .Little late but I was waiting for Denis pics. 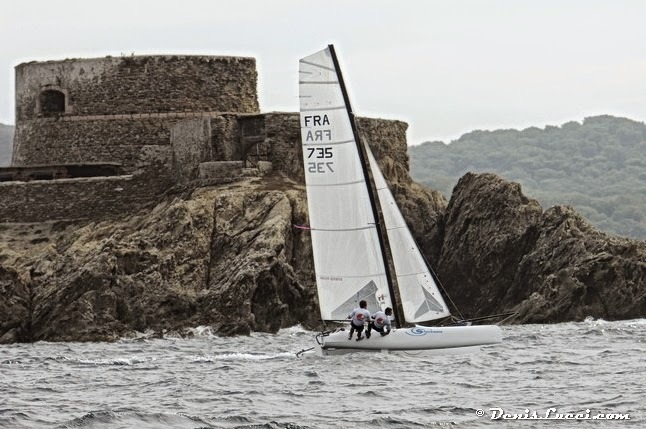 Overall Duc d'Albe trophy for Emmanuel le Chapelier & Paul Noirot on a Viper F16. 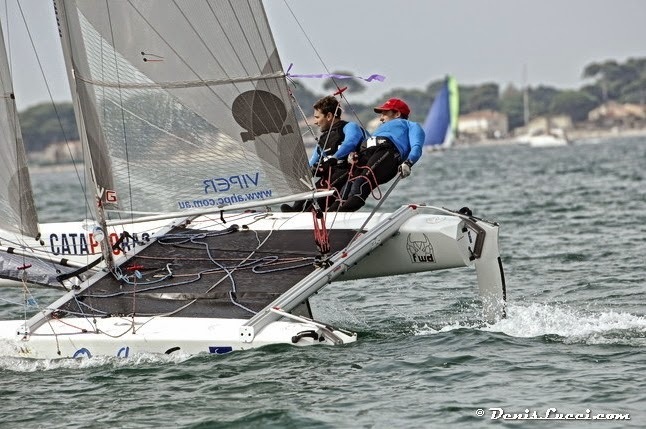 In the F18 another win for Charles Haineville with a Cirrus R.
Good to see the A-Class fleet starting to sail the Raids in France, as I saw in Carnac. 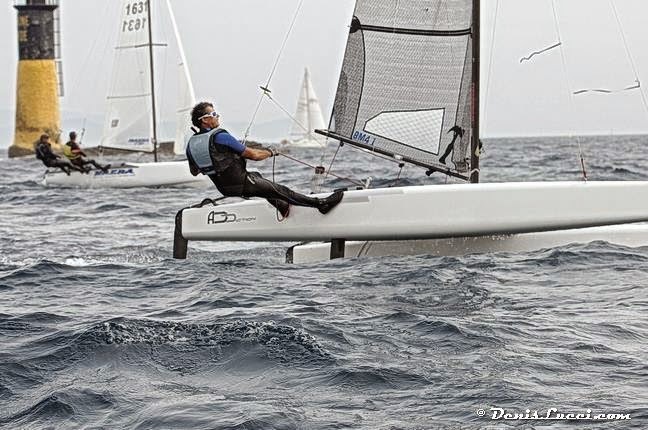 "Three perfect days of racing at Hyeres for the Duc d’Albe. 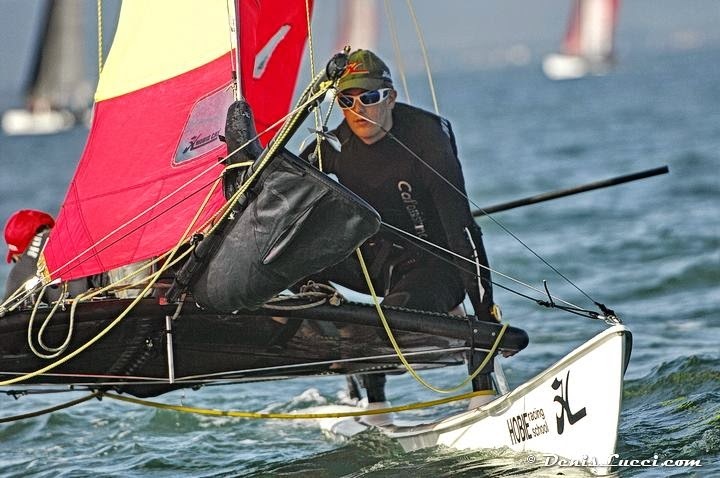 2 to 18 knots under the sun of south of France. The organisation was perfect. The first day was very hard, light wind ( 0 to 8 knots ) and changing directions ( rotation of 90 ° in 2 minutes ). 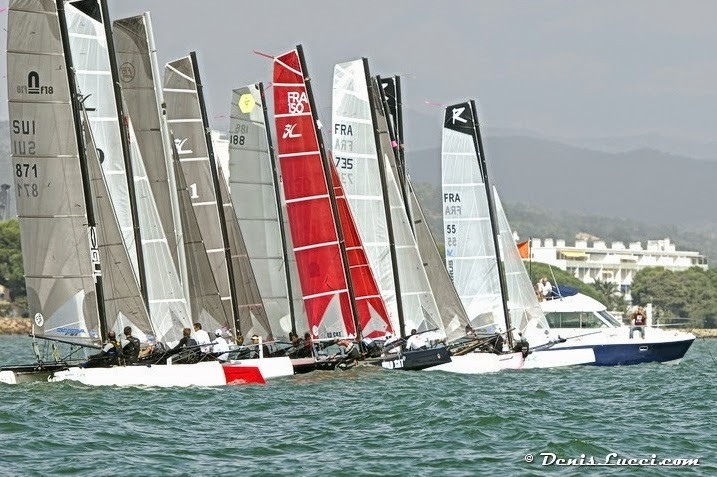 The Leardership of the race changed many time, Italian guys Mazzuchi Elia and Usignoli Jacopo, Emeric Dary and David Fanouillère, Antoine Joubert and Charles Hainneville , Maxime Blondeau and Clement Peduzzi. 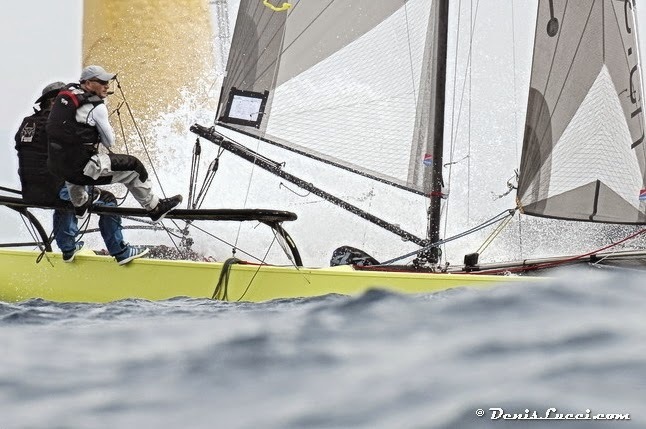 Finally the the race was decided in the last donwind leg. 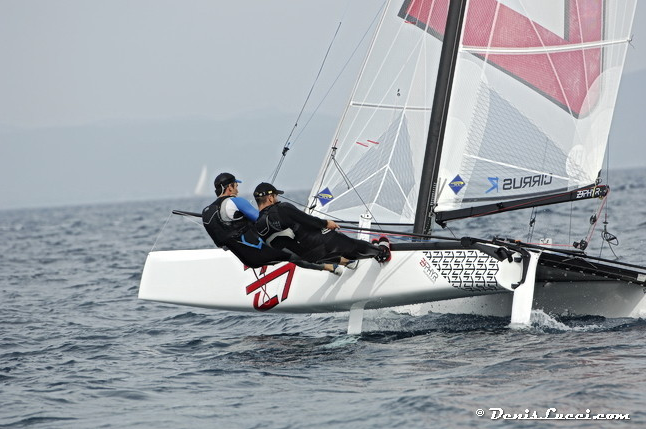 The Italian crew on their Wildcat was incredible fast in light breeze, and they took the lead and cross the finish line in first following by Antoine/Charles , Clement/Maxime. 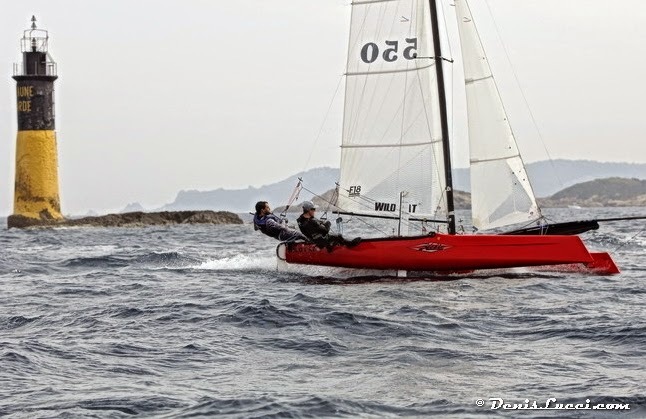 The second was a perfect day of sailing in F18, 10 to 15 knots and we did the round of Porquerolles in less than one hour . It was awesome. 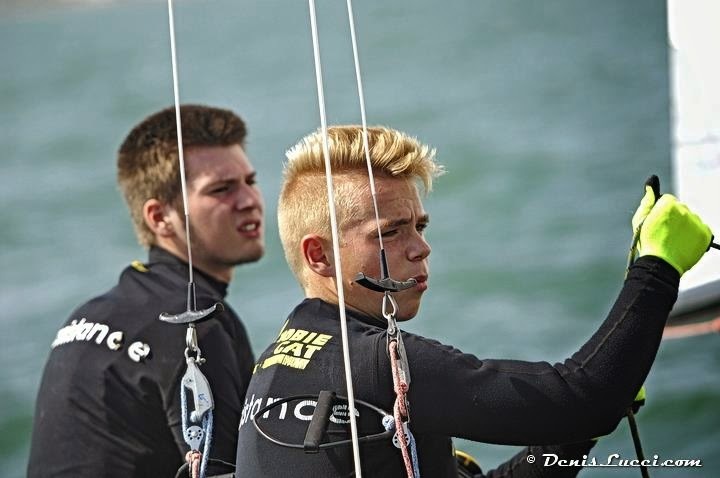 We fought with Emeric and David all the day, unfortunately they broke their Spinnaker line just before the finish Line. We won the race of the day and the Duc D’albe. It was a great experience for our first Duc D’albe, I hope to be their next year. "